Well, whatever it is, it can't be any worse than all those other buildings in frame. I agree. Anything that hides this crap will be welcome. And there are about eight more of these awful looking buildings behind (and next to) that one: this 'towers in a park' coop complex has been looking all the worse with the recent appearance of several new gleaming buildings going up in the area - the one depicted below included. Isn't the old synagogue north of here supposed to be redeveloped? Any idea what this will look like? Thanks. That's the new one, but one block north of here on the west side of the street is the old one which appears to be empty. Isn't that going to be redeveloped? American Continental Properties bought the old synagogue site, and are developing a condo tower on that north site. Thanks, Schwartz. Is the old synagogue still standing? It's a real eyesore, whereas the new one is beautiful. 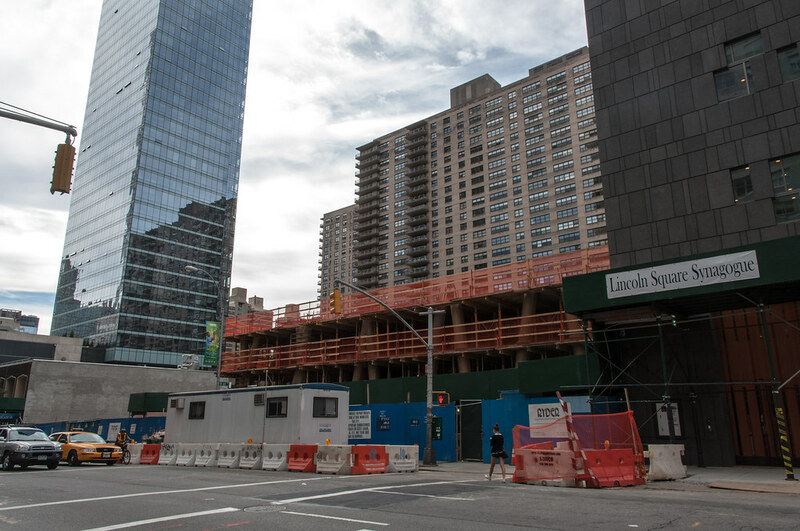 According to NY YIMBY a 20 story tower is rising there but no renders are available. 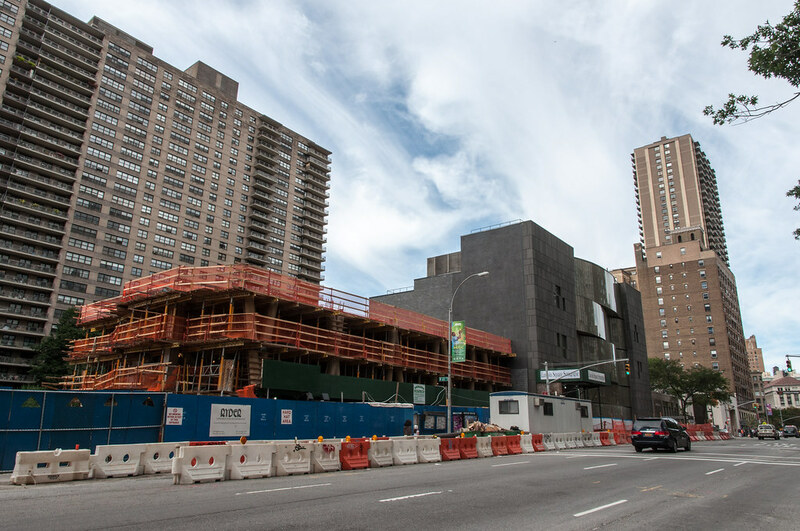 Equity Residential has had a 20-story building in the works at 170 Amsterdam Avenue since late 2011. Brace, neighbors, for New York YIMBY has the reveal of just what that tower, designed by Handel Architects, will look like. The 185-foot building will contain 235 apartments. YIMBY, for one, is over the moon about the design, which he describes as "stellar" and "a project that can translate forward-thinking design into a human-scaled and attractive final product." We'll reserve judgement until we have a little reality to compare to the rendering.